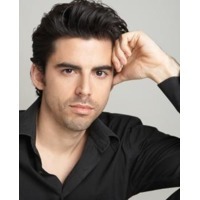 Tony DeSare is a jazz singer, pianist and songwriter. He has performed throughout the United States, as well as in Australia, Japan and Hong Kong. He continues to perform all over the world in theaters, jazz clubs and with symphonies. His original songs have been featured in the 20th Century Fox film, The Tooth Fairy and the 2005 Indie hit, My Date With Drew. Singer, pianist and songwriter Tony DeSare was named a “Rising Star” Male Vocalist in the 2009 Downbeat Critics Poll. He has won critical and popular acclaim for his concert performances throughout the United States as well as in Australia, Japan and Hong Kong. In January, launched an international tour with three weeks at the Algonquin Hotel’s Oak Room in New York, two weeks in London, then continues on to cities such as Los Angeles, Boston, Washington DC, Seattle, St. Louis and Palm Beach. “Let’s Just Stay In,” one of the CD’s original songs, will be featured in the upcoming 20th Century Fox film The Tooth Fairy, starring Dwayne “The Rock” Johnson, Ashley Judd, Billy Crystal and Julie Andrews. Tony DeSare performs with infectious joy, wry playfulness, and robust musicality. His takes on classic standards and sophisticated original compositions have earned him a reputation as one of country’s hottest young singer/pianists. His sound is romantic, swinging and sensual, but what sets Tony apart is his ability to write original material that sounds fresh and at the same time blends seamlessly with the Great American Songbook. Tony has the capability to glide from a standard by George Gershwin to a contemporary classic by Bob Dylan or Phil Collins to one of his inventive original songs with ease.